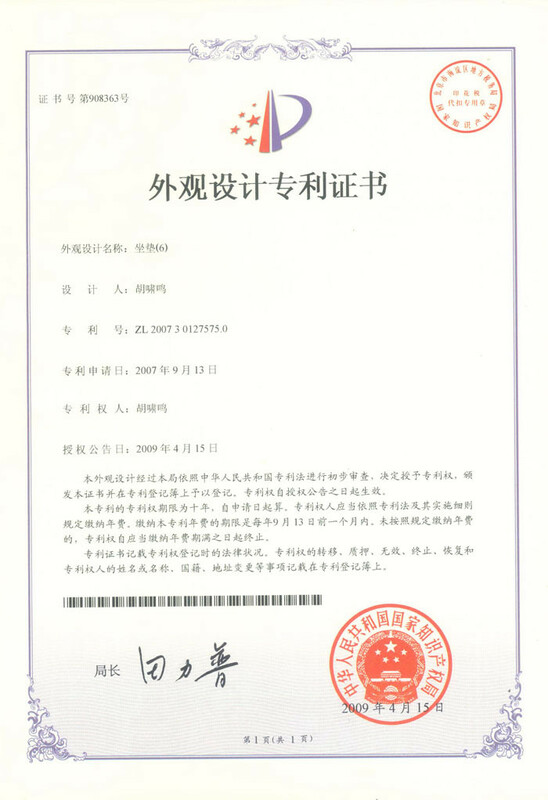 Company Overview - Zhejiang Sojoy Holding Co., Ltd.
9YRSZhejiang Sojoy Holding Co., Ltd. 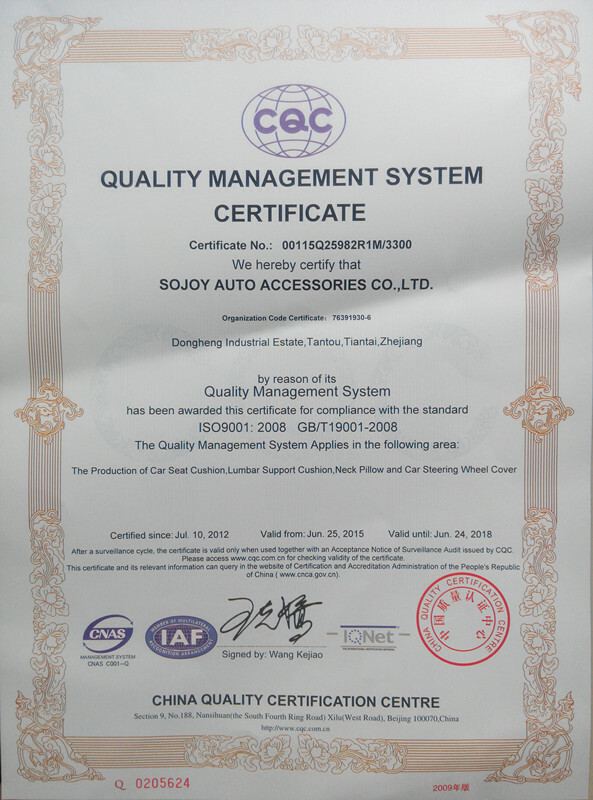 Founded in 1992, Zhejiang Sojoy Holding Co., Ltd devotes in manufacturing car accessories, including car seat cushions(heat cushion, cooling cushion, massage cushion), back support pillow,neck/travel pillow, foot massager, steering wheel cover and so on.In 2000, we passed ISO9001:2000 quality management system certification and the factory audit of Wal-Mart. 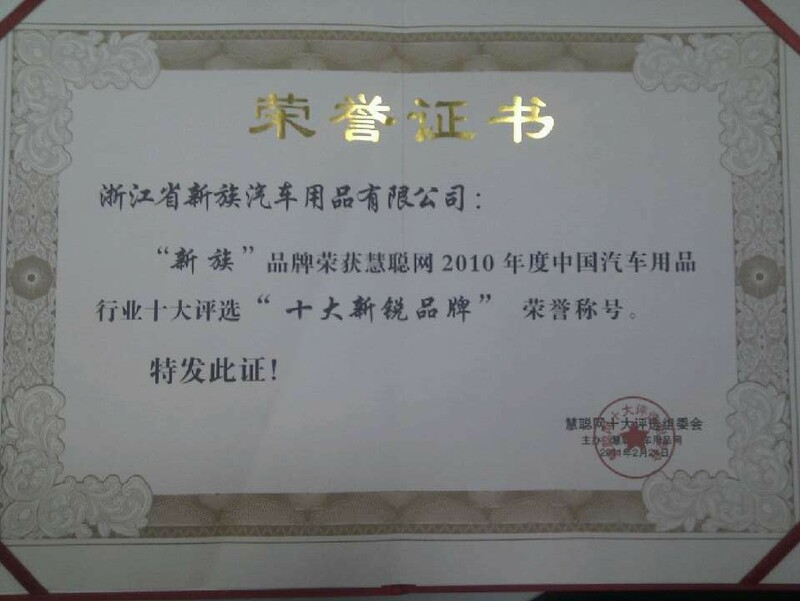 In 2002, as to the amount of exporting, we were the biggest one in auto accessory field in our city. Today, Sojoy has factories both in Tiantai and Jiashan, along with sales and marketing offices in Shanghai and Hangzhou. 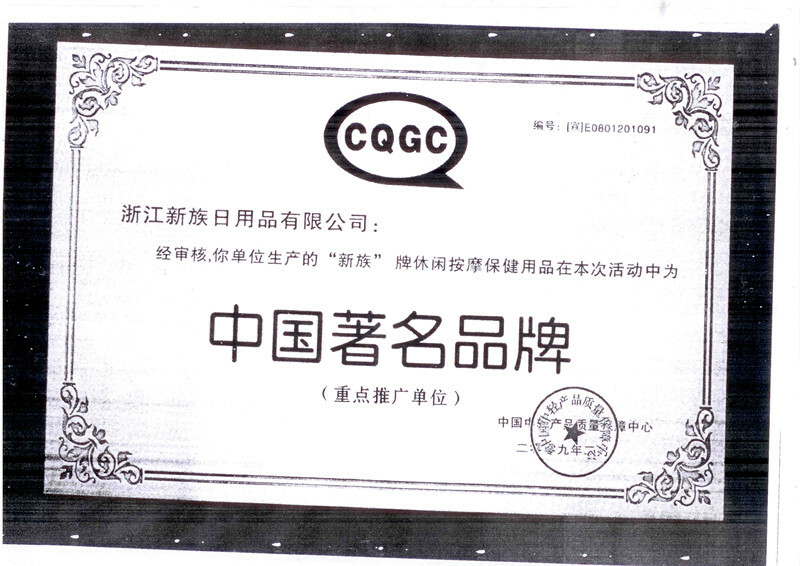 We are strong both in QC and production ability. 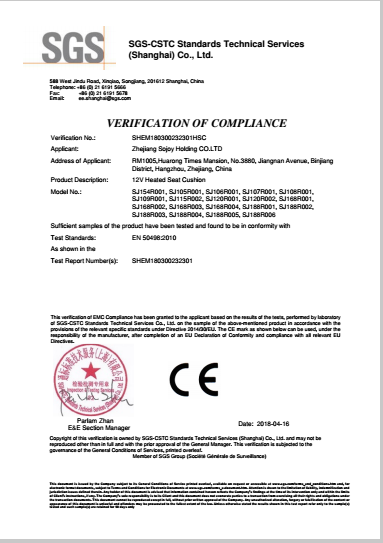 Sojoy strives to meet the strictest standards of our customers by having implemented ISO9001 procedures and key standards of European and North American quality control. Sojoy has gained wide recognition and high reputation, and continues to create and introduce innovative products at affordable prices. 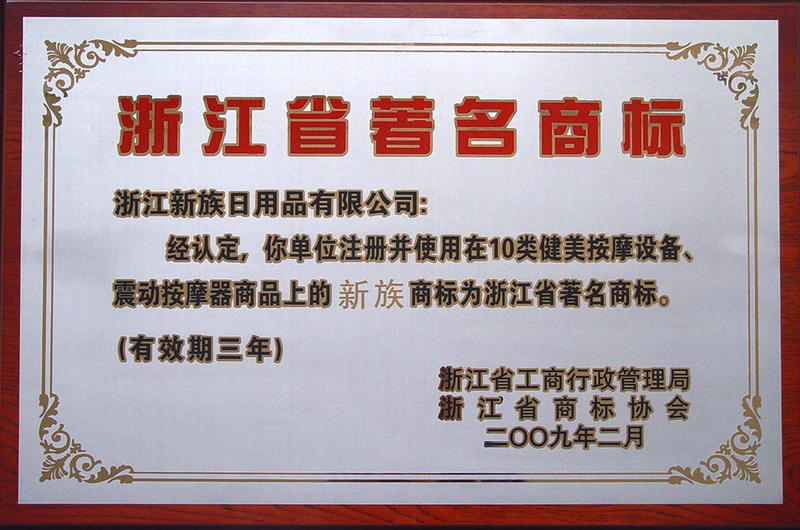 Our products include three domains of home, office and automobile, totally with more than 500 kinds. The massage products help relieve the tiredness caused by long time drive, such as eye massagers, neck massagers, lumbar massagers, back massagers, hip massagers, thigh massagers, foot massagers, massage cushions, Shiatsu Massagers, Neck pillows, Music neck pillows, Massaging neck pillows, Foot massagers, Heating cushions, Heating carpets or mats, Pro cooling air cushions, Steering wheel covers, Car seat cushions, Back supports, Lumbar supports, Guard seat protectors, Sunshades and Percussion massagers. We keep ahead in auto accessory field, and we export our goods to more than 30 countries and regions, such as Europe, Canada, America, Japan, the Middle East and Africa. We have gained good reputation in quality and service. We are the golden supplier of Wal-Mart, Tesco, Carrefour and Target. 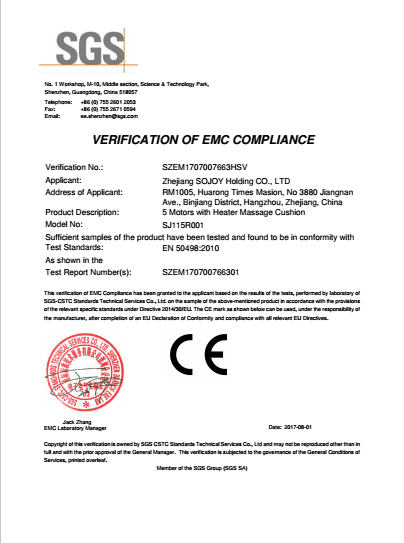 Almost all of our massage and heating products have passed the testing of CE, GS and EMARK and meet the RoHS standard.In addition, Sojoy is well positioned to meet the OEM and ODM needs of our customers. We have an experienced management and design team and become a leading supplier with strong R&D and marketing departments. Our staff are able to work with customers to meet their needs.We pay high attention to new item development and security improvement as well as perfect quality of our products. 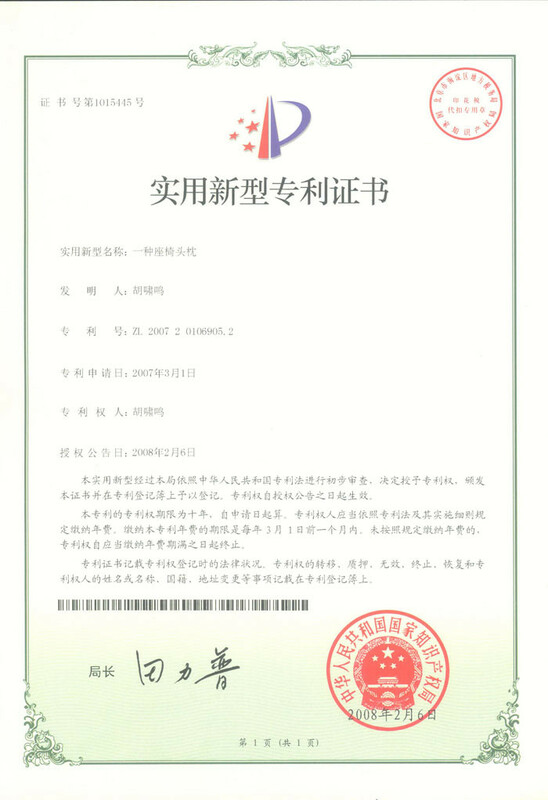 The quality guarantee and service system have been connected with international standards completely. We also pay high attention to training staff with advanced technical skills. We supply the training opportunity to every excellent staff and arrange competition every month. We will sincerely supply you with the most comfortable and the safest goods and first-class service for your life! To meet customer satisfaction is our cordial desire!